Compared to its Creative and Marketing Cloud solutions, Adobe’s recently launched Document Cloud and eSign services (formerly known as EchoSign) don’t quite get the same amount of attention yet, but they are becoming an increasingly important part of the company’s business. Today, Adobe is launching a number of new features for Document Cloud, including an integration with Dropbox, as well as a number of updates. 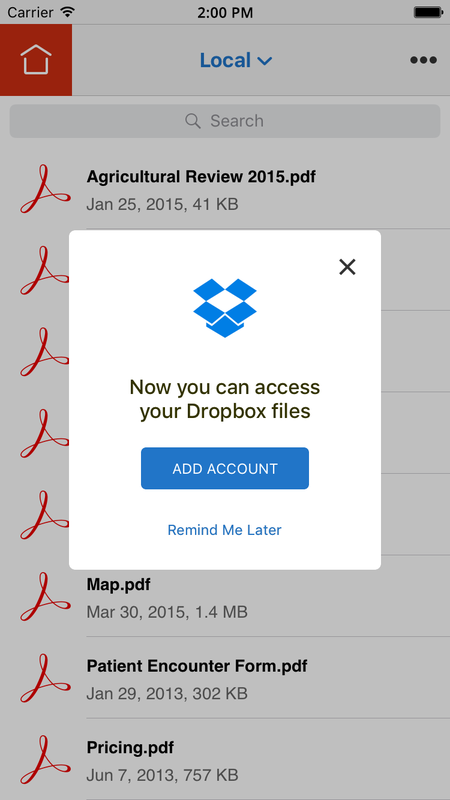 The Dropbox integration is the highlight of this update. Thanks to this, Adobe Acrobat DC (essentially the ‘pro’ version of Acrobat) and Acrobat Reader users can now access PDFs they have stored on Dropbox directly from these apps and edit them. Any changes they make to these files — no matter whether that’s on the web, desktop or in the Acrobat mobile apps — are automatically synced back to Dropbox. 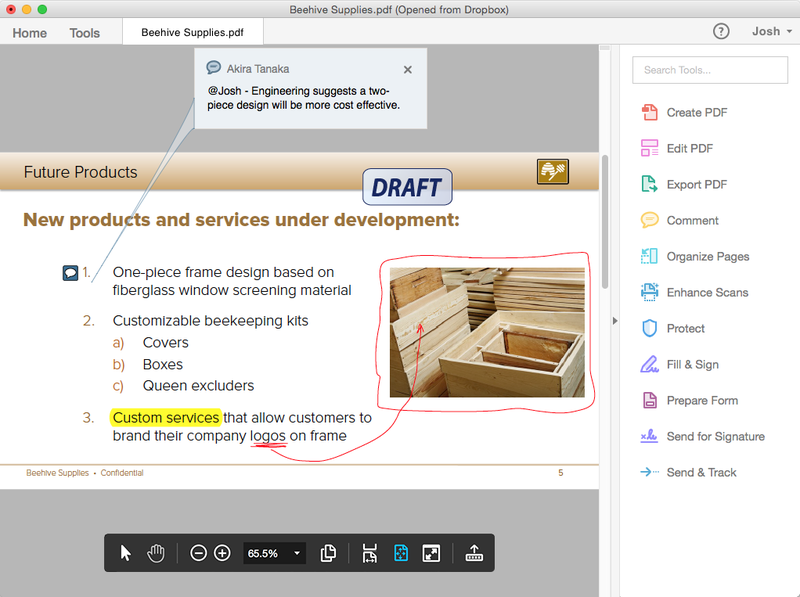 This integration also enables collaborative editing of PDF files stored on Dropbox. Given that many businesses have already adopted Dropbox as their de facto document storage service, it makes sense for Adobe to build on top of this instead of trying to get all of its Document Cloud users to adopt yet another storage service just for PDF files. At the heart of Document Cloud is Adobe’s eSign Service, not necessarily file storage — and it looks like Adobe is open to partnering with other partners, too. As for Adobe’s eSign Services, the company also had a few updates to announce there today. Adobe is introducing a new tool for designing signature workflows, for example, as well as the ability to build custom apps for automating certain business steps like onboarding new hires or finalizing sales contracts. The company also says it now allows its users to comply with the stricter signing requirements in EU countries (something the company has been working for quite a while now), and it’s launching two new data centers for Document Cloud in Ireland and Germany by the end of the year to get closer to these users. In addition, Document Cloud’s eSigning solution now features an updated mobile app for enterprises that lets businesses manage access to the app through tools like Android for Work and — soon — Good Technology and Microsoft Intune. Employees can now also use the app to take a photo of their signature once and then reuse it to sign all documents going forward. The company also today announced a couple of new partners, including Workday, Salesforce and Ariba, which have integrated Adobe’s signature workflow into their apps.